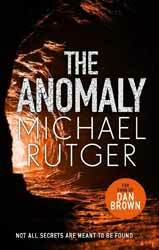 The Anomaly Files is a thriller science fiction novel from Michael Rutger, a pseudonym for Michael Marshall Smith who writes different genres under different names, not an unusual practice; Iain Banks did the same thing to separate his science fiction novels from his more mainstream literature. The book is a romp and I don’t mean that in a disparaging way, as it has a good plot with some very memorable characters. The team that is sent into the cave is both mismatched and wholly unprepared for what they will have to face. If ignorance were bliss, then they were in nirvana, bumbling about in something they do not understand. It is difficult to discuss what happens after they get trapped in the cave without giving the plot away, except to say that this is neither a horror novel nor has it much to do with Dan Brown, regardless of what the sticker says on the book. While both are predicated on the idea that old stuff might mean something important, the comparison ends there. Much of the tension comes from the diminishing resources, of food, water and light and the real chance that, being trapped, they might die in the cave before they can work out the mystery. The book is well written, in a very naturalistic way, the language is very visual, not surprising given that he is also a screen writer and I suspect that the book was written with at least one eye on the story being optioned. One of the real strengths of the book is the characters and their interactions, especially between Nolan and Ken, which on the surface may seem over antagonistic, in a playful way, but this belies the genuine affection they feel for each other. Some of the characters fade into the background and I feel that the author was having the most fun when he was covering scenes involving these two. Overall, a successful romp. The book succeeds in producing an enjoyable tale, which hangs together well. Some of the characters can be overshadowed by the Nolan/Ken dynamic to the point I even forgot that Molly was also a character in the book. Still, I would be interested in reading their further adventures with The Anomaly Files.